Das Bike Projekt: Color Me Conflicted. Hi folks, long time no blog! Something interesting happened this week. And it happens every couple of years. After not thinking much about the BMW for a while (I just finished my work busy season, which coincides with the lovely grey Michigan winter) I received a message on Ebay from a pleasant gentleman who asked if the BMW was still for sale, referencing the ad I had posted two years ago. In October 2010 I bought what is call a BMW /2 “Conversion” Motorbike. 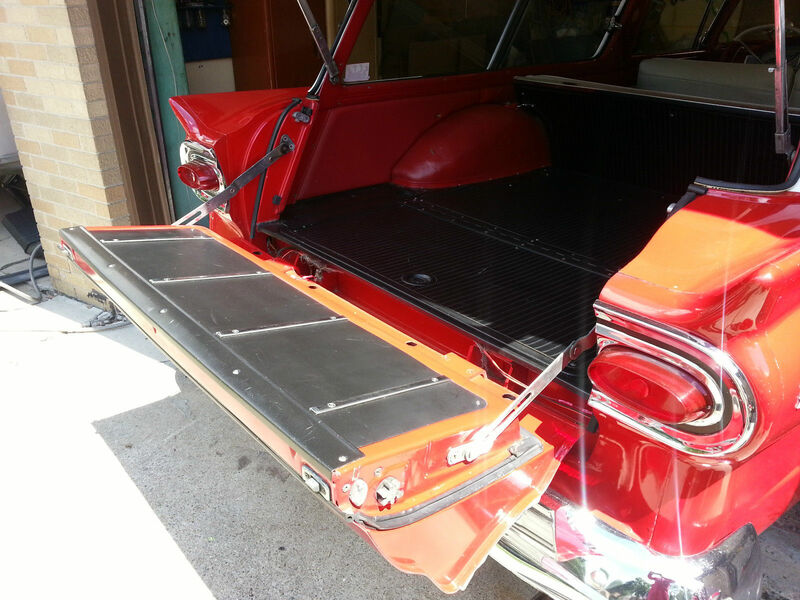 It is constructed from taking a /2 bmw chassis (1955-1969), and implanting a /5 Engine (1970-1973). In the years since it has been completely rebuilt mechanically, while preserving it’s look as an old bike. You can keep hitting the “next” button in the upper right corner to read through it all, but here is the bike in a nutshell. Lightweight 9.5:1 1000cc pistons . Dellorto carbs, Real Paul Dunstall Silencers (not copies), SUPER rare Sig Erson cam. New /5 and /2 wiring harness, Rear Fender Wires Replaced, Valeo Starter, Dyna Coil, Uli Electronic Ignition with adjustable Advance Curves, Omega Alternator, 12v AGM Battery, H-4 headlight, new handgrips, mirrors and turnsignals. 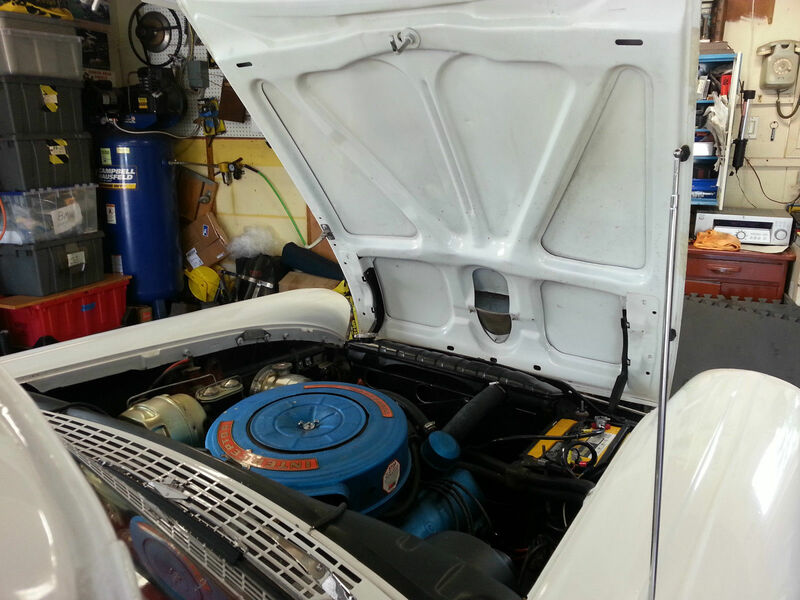 All engine, transmission and Final drive seal replaced. Final drive rebuilt with new gear and spacer plate. Timing Chain, Tensioner, Front crank bearing, and sprockets replaced, later model engine front cover installed. 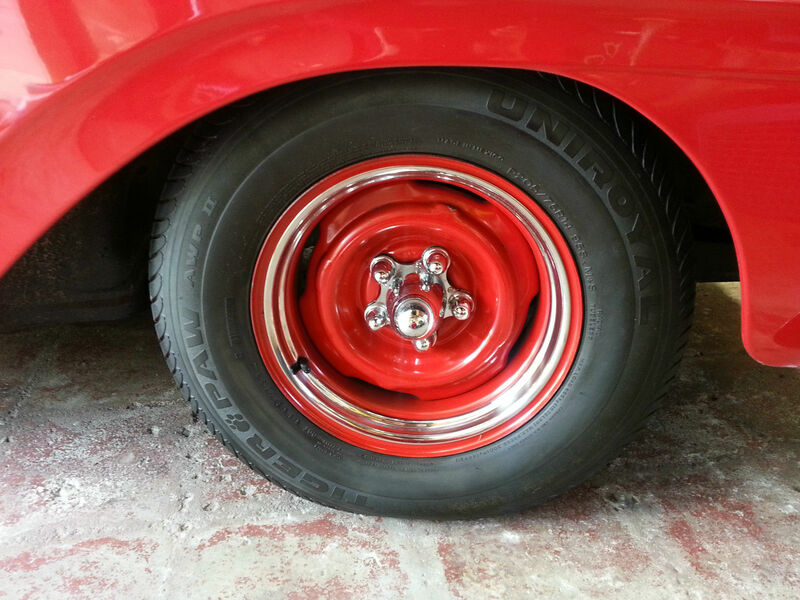 New period correct Metzler tires, stainless spokes, wheels trued, New High Friction Brake linings installed, wheel bearings packed. 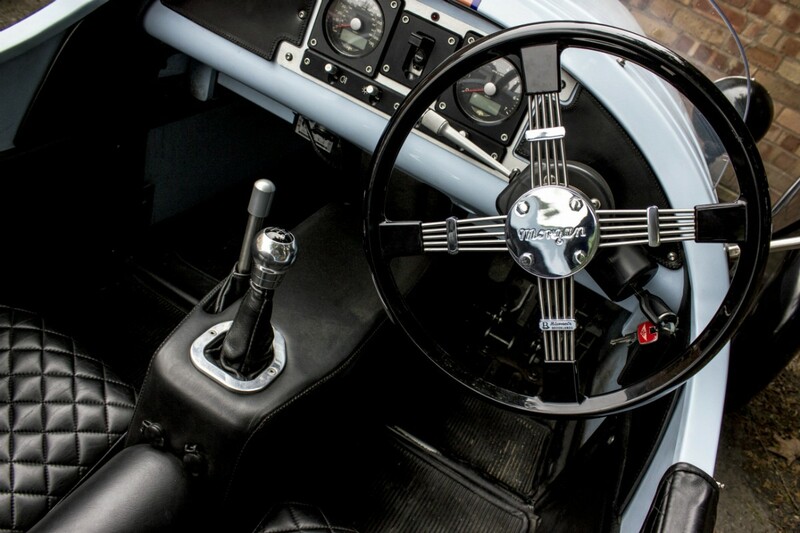 RARE tachometer installed, with specail cable to mate to the /5 engine. All shock absorbers replaced, swingarms greased and adjusted. “How does It run?” I cant believe that in my effort to get all the mechanical details correct I did not talk at all about how it all works as a motorcycle. I should mention that the full persormance potential of this bike has yet to be realized due to having less than 1000 miles on the new Seibenrock cylinders, pistons and rings. I told him that I had not really been thinking about it, and the last ad had not met my reserve, but that I would take some fresh photos for him, and add up my receipts to try and come up with a price. I mean it starting like that, even better than my newer fuel-injected toys, is no accident, its the result of 6 years of work, and a hot coil, and an electronic ignition, and endless fiddling with Italian carburetors. Can I put a dollar value on that, even if I don’t ride it enough? To gain what? A wider driveway and a new fence in the backyard? Beth and I decided to kind of “Go Dark” on the whole Morgan thing until the car was delivered. That was supposed to be at the end of May. The last minute changes, us ordering all those options from the Geneva Show Car, resulted in some extra waiting, since many of those options had yet to be prototyped. Morgan and our dealer did their best to keep us informed, as nervous “parents” we were probably pests as the nice summer driving days ticked by. But we do have the first production car with the new 2016 options. 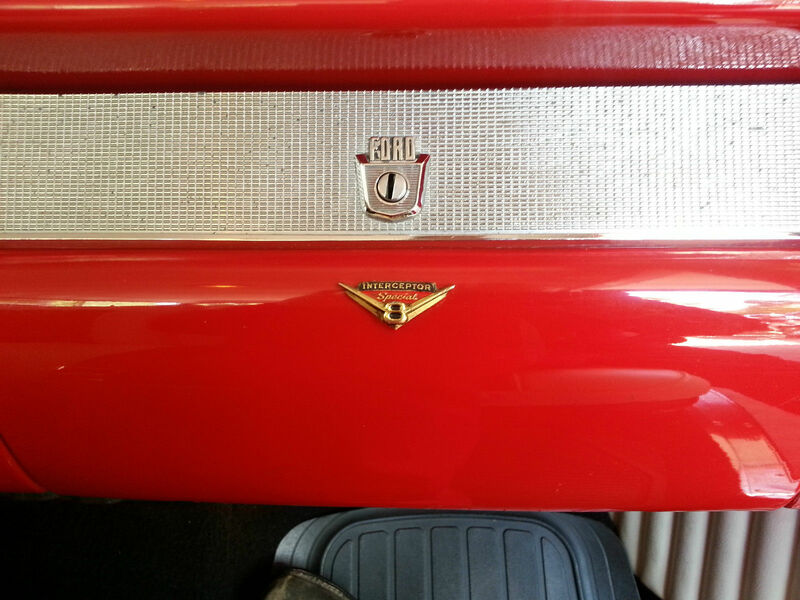 Here are some photos of the Geneva car. If you notice, it looks more GREEN then the Factory photos that were leaked the week before? 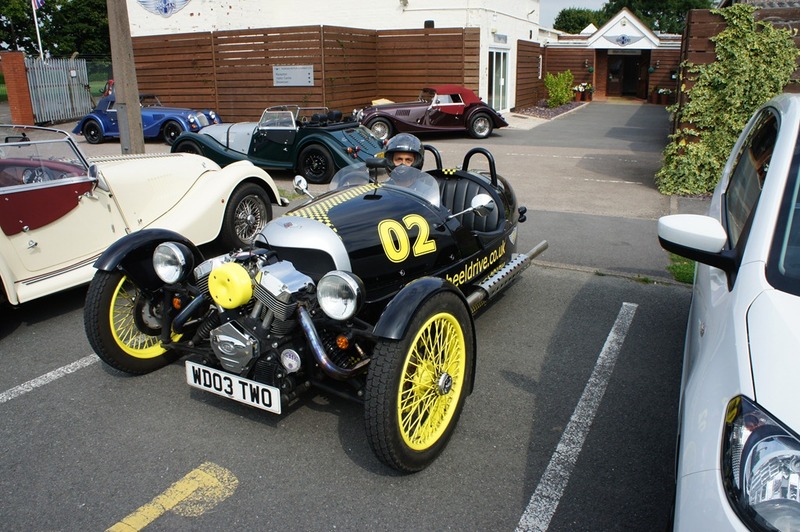 So, knowing what we wanted we contacted our dealer, who contacted Morgan who gave him the specs. The Prototype is Rolls-Royce Heather. Beth and I went to every Brand of car dealer we could fit into a Sunday, and after many photos and discussions decided that Mercedes-Benz Palladium Silver was the closest color to the one we thought we saw in those factory photos. 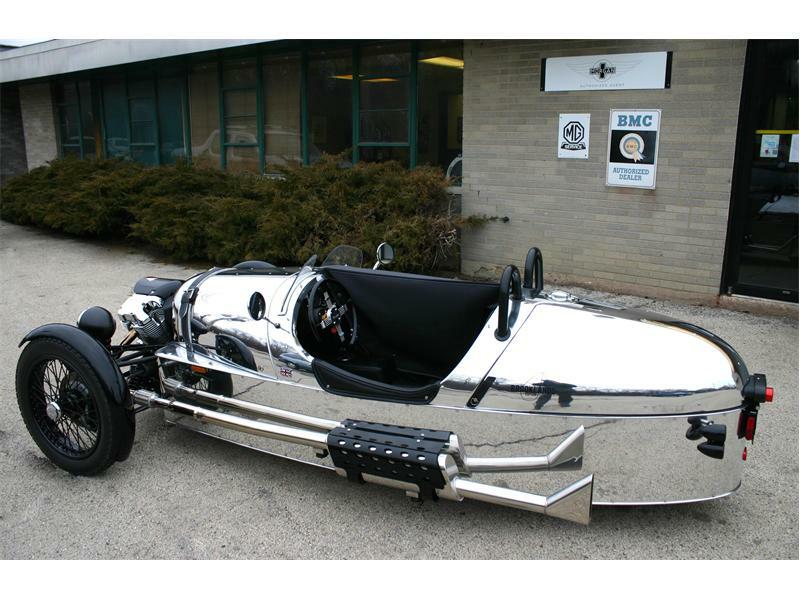 Thank you for your order , 3 Wheeler – Standard, chassis number x, for Kirk x. The specification for the car is now finalized. Your car is scheduled to go into build in week ’16-19. Please be reminded that payment in full is required before the car is dispatched. So that meant week 19 of 2016 the car would be started, coincidentally, on my Birthday, then 3-4 weeks in build, then 3-4 weeks to ship it. Estimated Delivery: End of June, Coincidentally around Beth’s Birthday! I wont bore you with the delays, there were issues getting the graphics, and windshield, and instrument panel, and rear fender right, and some slippage of the schedule. At one point, a couple months before the car was finished, Morgan even told me it was completed and awaiting my payment. I got a lot of emails from my dealer, I begged every friend and forum member going anywhere near the factory to send me build photos. Some were even taken by major people in the Morgan organization as they tried to figure out where in the process we were. See as we go from painted body, though 3 sets of graphics, prototype parts, right though Pre-Delivery Inspection, and then Shipping! I took the day off of work on Delivery day, and took my first-ever UBER ride to pick the car up, Beth met me at the dealership on her lunch hour. So, that takes us from Ordering to Delivery! Watch this space for more Action, Activities, and Adventures to come! Well the Geneva Motor Show opens today! 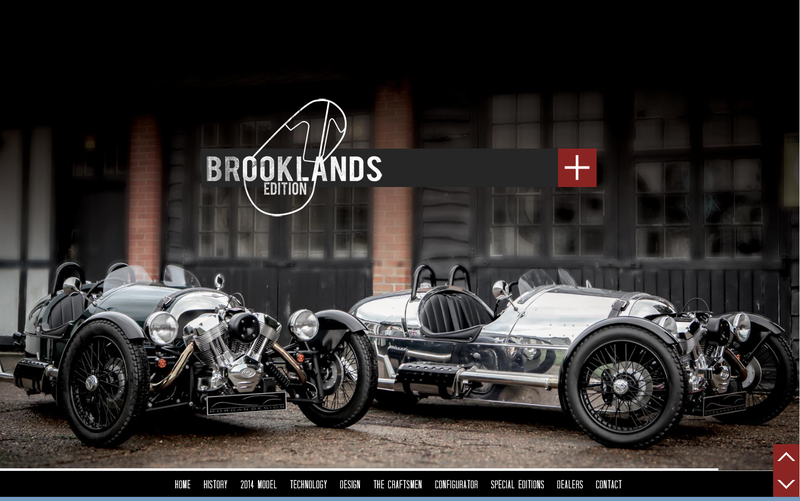 On Tuesday Morgan unveiled a car that had the “Heritage” options on it. 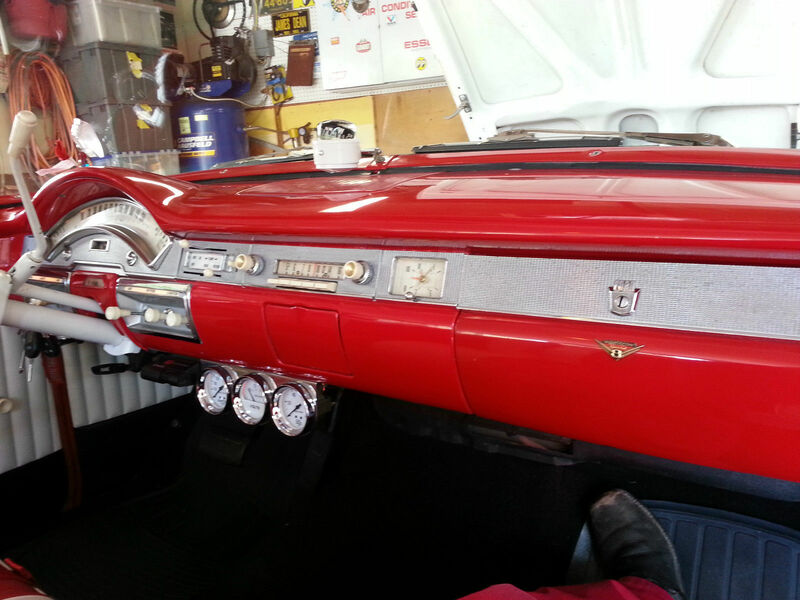 Different paint, and Instrument Panel and scads of other cool stuff. Beth loves them, ALL of them! So the order will be changed. 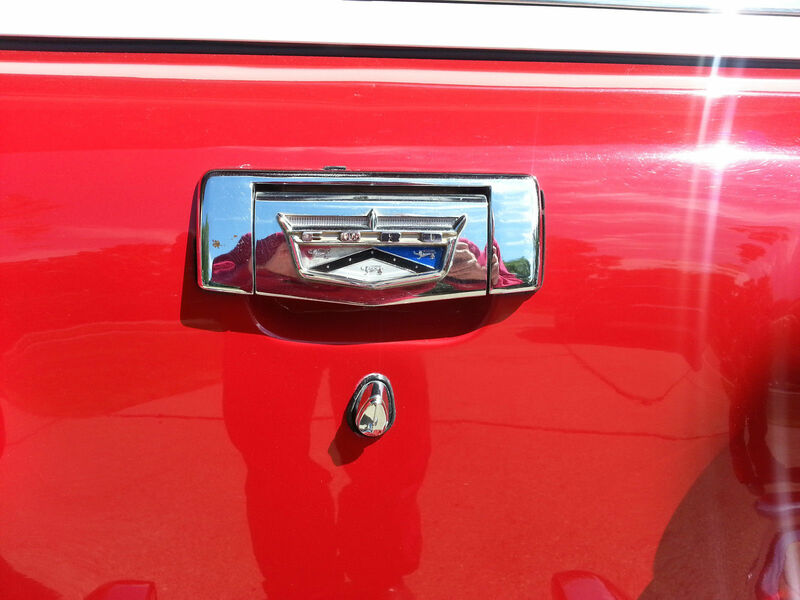 Goodbye Black Racer, Hello Retro Classic! We hope you like our new direction! And if you don’t that is fine too, because you don’t pay the bills around here! So… Times change, People change, The Earth cools, the Universe Expands, and I change my plans. 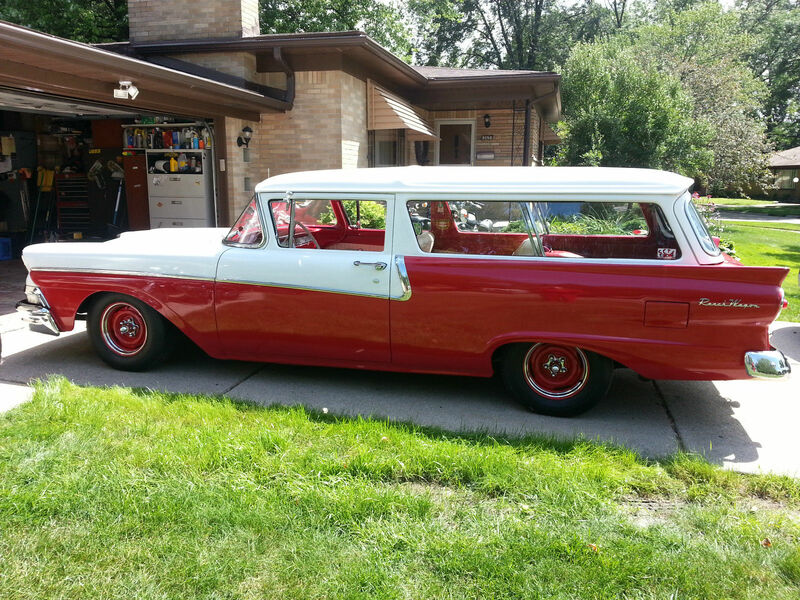 The Wagon sold, I didnt think that would ever happen, but then I didnt think the ’51 would ever go either. But you can’t cling on to everything, right? Only so much time to enjoy these toys, and an old house, and old trailer, an old car, a sports car, and 6 motorcycles all take time to keep up, which, especially in Michigan, cuts into the time We have to enjoy the toys! Funny how it took me over 50 years to do that math. 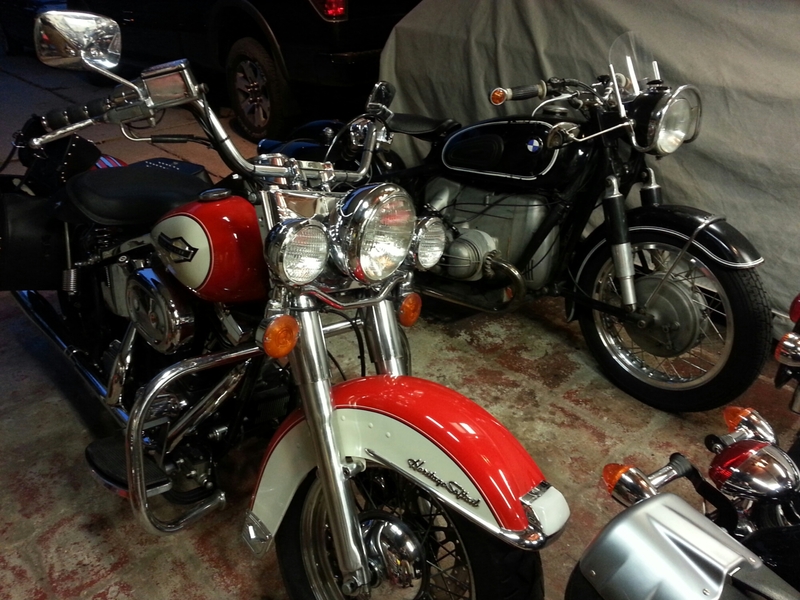 Anyway, we are down to 5 bikes now, The CL450 that I restored was the fist to go. I dont miss that one much, I pretty much finished it and sold it. I didn’t have much emotionally invested. Now Beth Is talking about selling her 1968 Honda CL175 “sloper” a uper rare 1 year only bike. 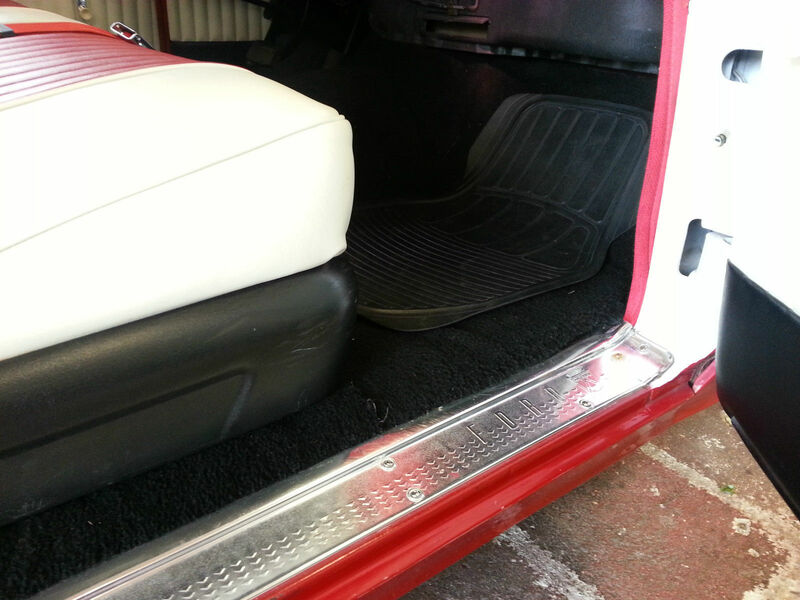 We bought it to use while camping, but with the truck being SO tall, its just too much of a pain to load. So she is looking for a good clean Honda Trail 70 or Trail 90 to replace it. Next up, the 1991 Harley FLSTC Heritage Softail. I bought it as a base for Marcel to do the full MOTONISTO treatment on. http://www.motonisto.com/ But then I git it home, and the 6 Month only paint grew on me, and it was in such good shape I decided to go my own way with it. ANd so, as per my usual, I did everything I could think of to make ir dependable, including a lot that probably didn’t need to be done! New front and rear braided brake lines with black covers, new front and rear brake rotors, new front and rear brake pads, new tank emblems, new heated grips, new front forks complete, new hard bags leather covered with quick releases and World’s Fair emblems. New spark plugs. New Powerlet power adapter, new connector for heated gear, new running light bulbs, New Beck speedometer, new chrome dashboard and bulb assembly, new speedometer clutch and throttle cables, new from solo seat and chrome cover, new paughco 2 into 1 exhaust, new BSA gold star muffler, new Harley ignition switch, new battery, new remote starter switch. Removable windshield. Fresh engine oil, transmission and primary change. 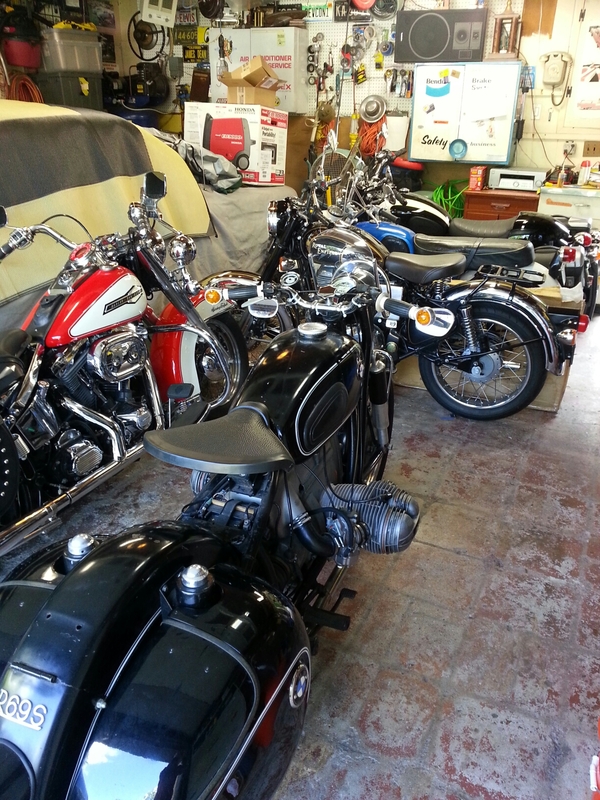 Its fun, now I totally get why people love these bikes, But, I need to thin the herd. We shall see what spring brings! 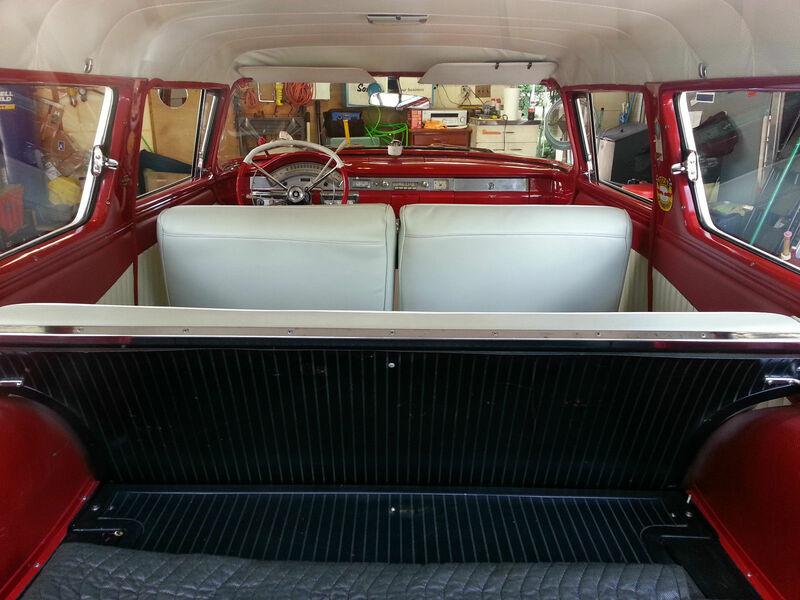 1958 Ford Tudor Ranch Wagon – Off to new loving owners! 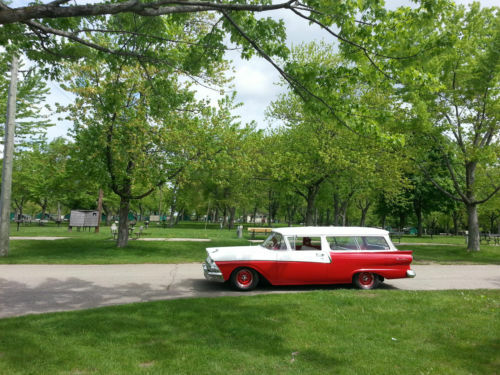 If you really want to be different at your next collector car event, why not have a Big Block Muscle Car that you can haul 6 adults, the Dog, Coolers, and Camping Equipment in. 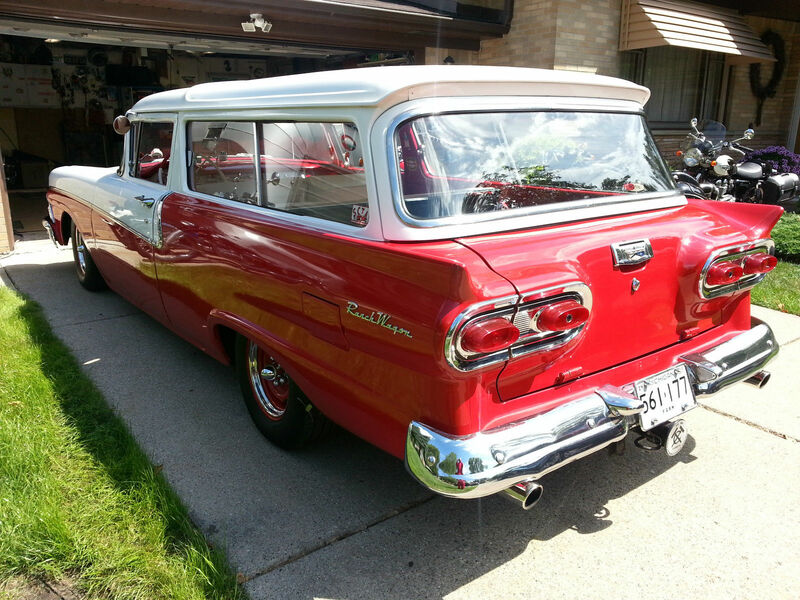 How often do you see a Two Door Ford Ranch Wagon not to mention one with the first year of the F.E. V8. 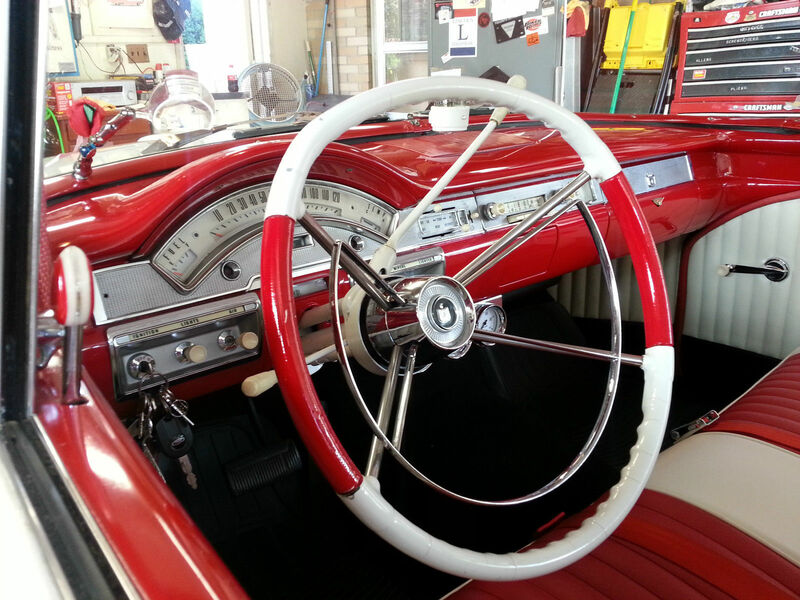 This rare and unique example is an original Arizona car that is straight and solid. 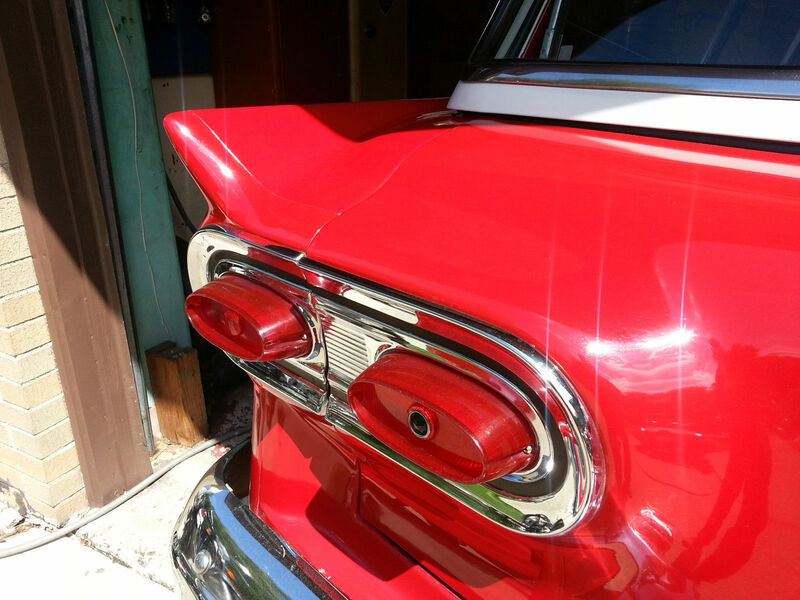 The paint is tutone looks fabulous the 390 engine runs strong and it shifts smoothly. 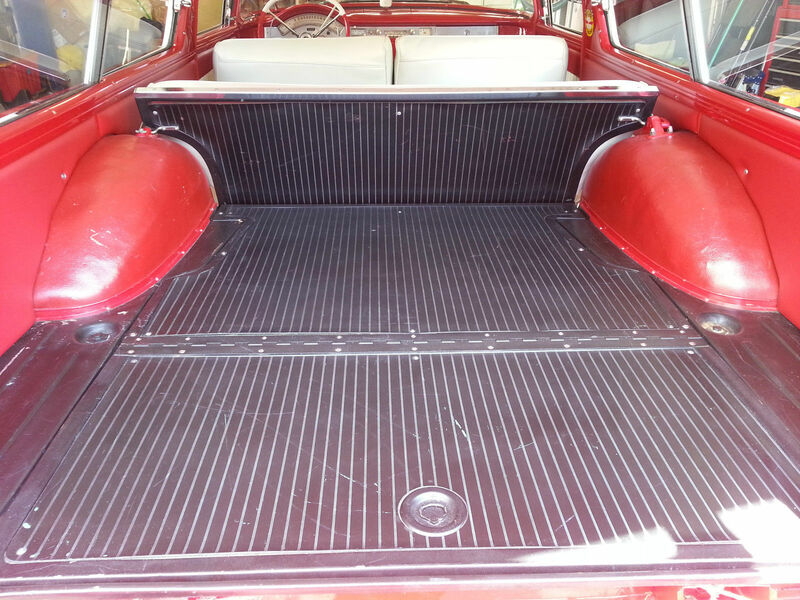 It is set up for cruising with a new high dollar MultiPass radiator and Electric fans to keep it cool. Features Crate detailed 390 V8 Ford C6 Automatic Transmission Mercury Turnpike Cruiser Steering Wheel Finished in Gloss Ford Commercial White and Ford Vermillion Red Tutone, Immaculate Red and White Labarron-Bonney Interior Full Fold Down Rear Seat for flat load area Excellent Radial Tires Steel Wheels with spider hubcaps Magic Aire Heater and Defroster, and Step-On windshield Washer. 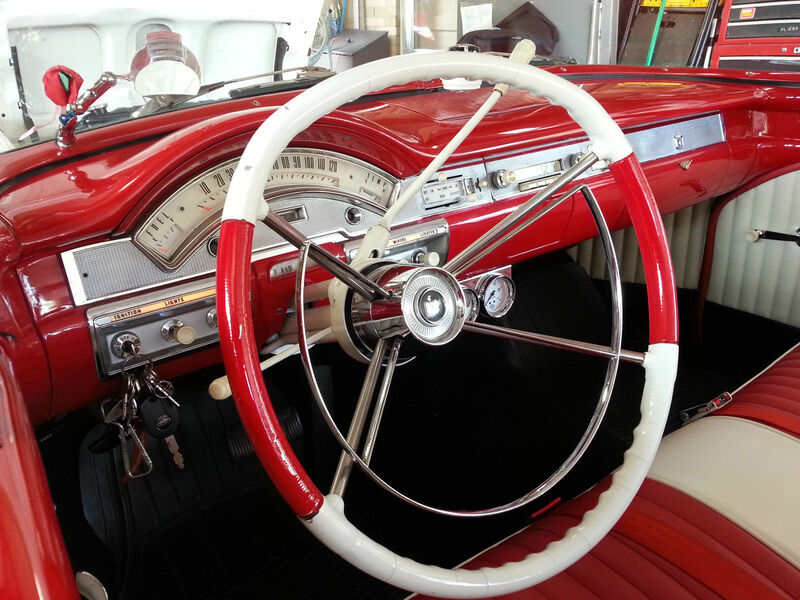 Full factory In Dash Instrumentation with all the chrome panels, “Interceptor Special” Badging on Glovebox Door Driver’s Side Chrome exterior Rear View Mirror, Interior “Day-Nite” mirror. 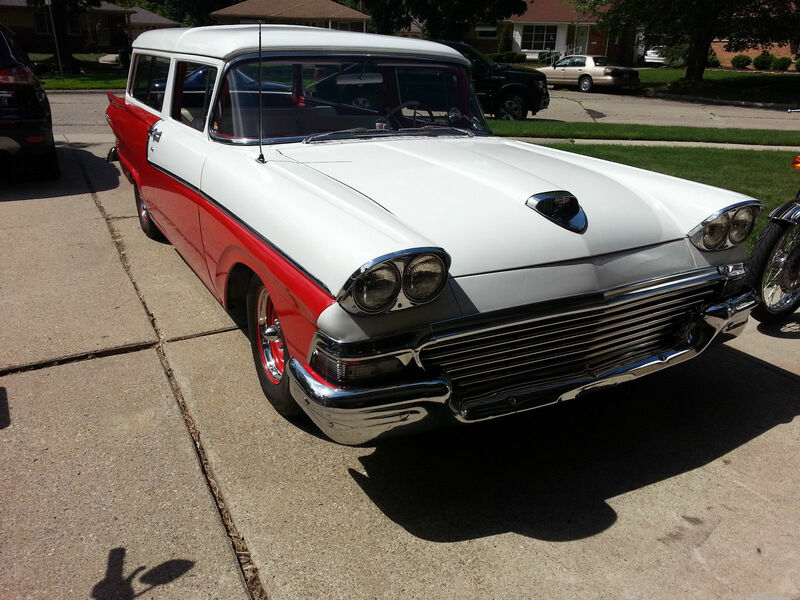 Ultra Rare 1958 Ford Interceptor Special 2 Door Ranch Wagon. Originally an Arizona Car, very few of these survived. 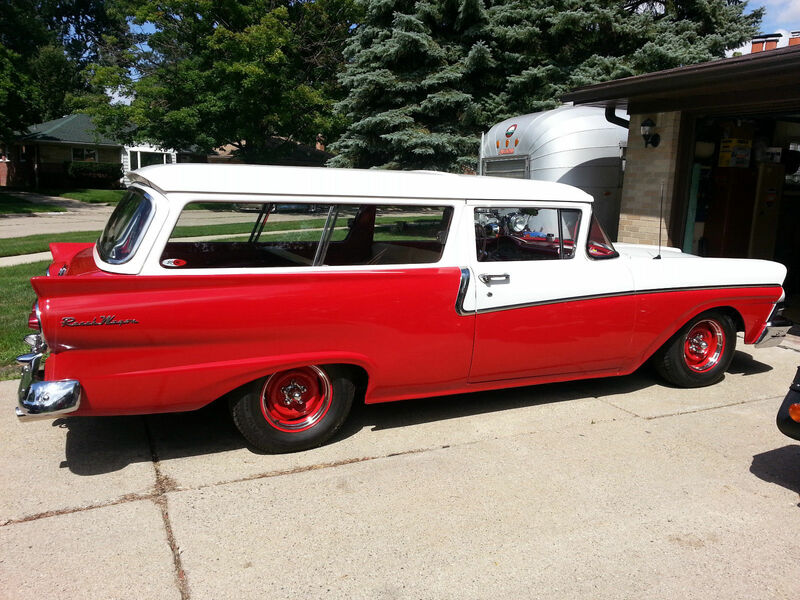 Up for sale is our 1958 Ford Two Door Ranch Wagon. 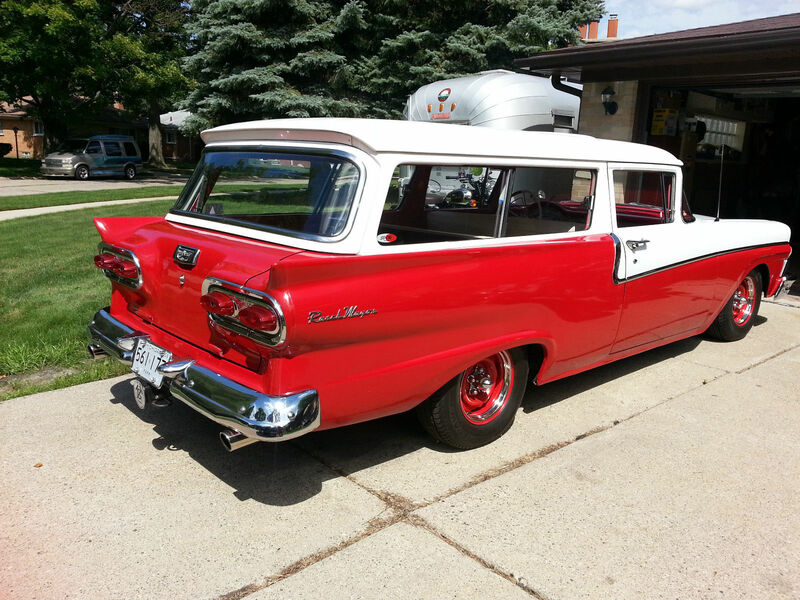 It has a 390 engine, 4-barrel Edelbrock carburetor, 3 speed C-6 Automatic transmission. 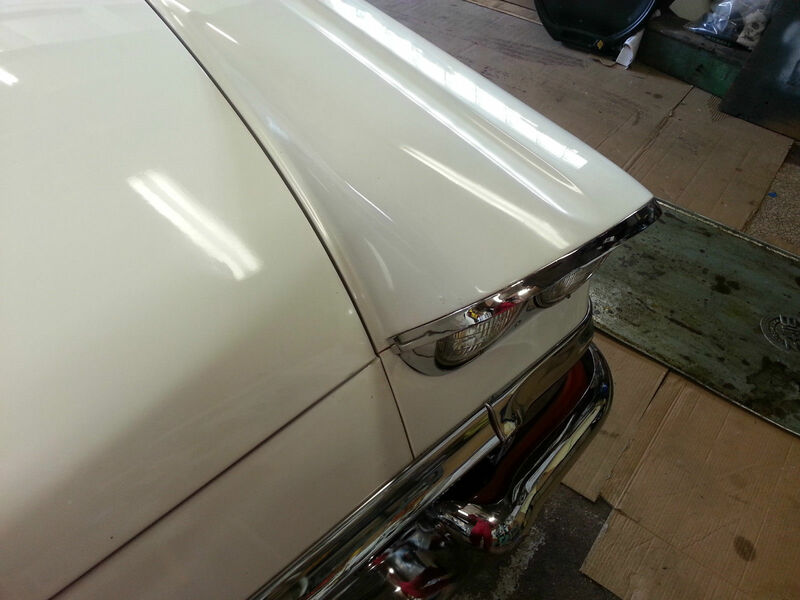 Restoration was started in 2000, new paint, interior, rubber, windlace, catwhisker, all moving suspension parts, springs, engine and transmission. 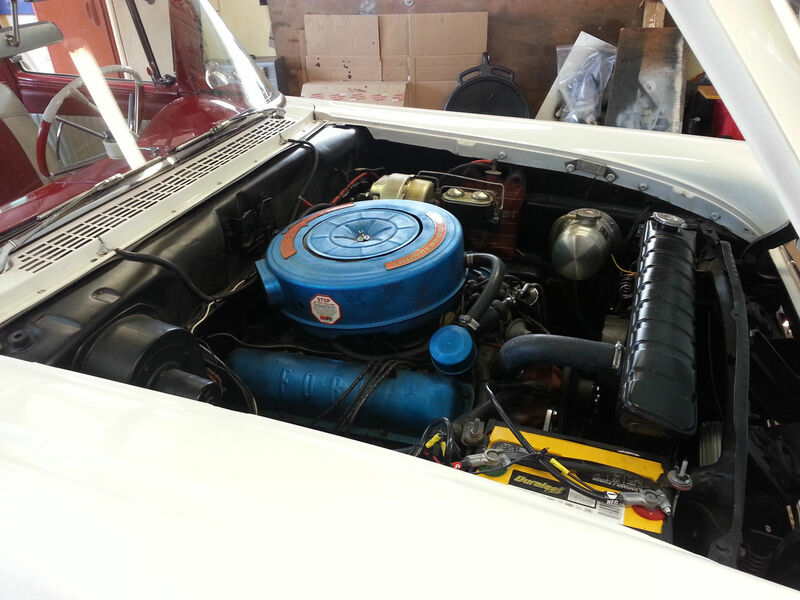 Every thing on this car was evaluated and rebuilt, replaced, or repaired as needed. This car is a pleasure to drive on country two lane roads or down the expressway. Many exta parts can be included too. 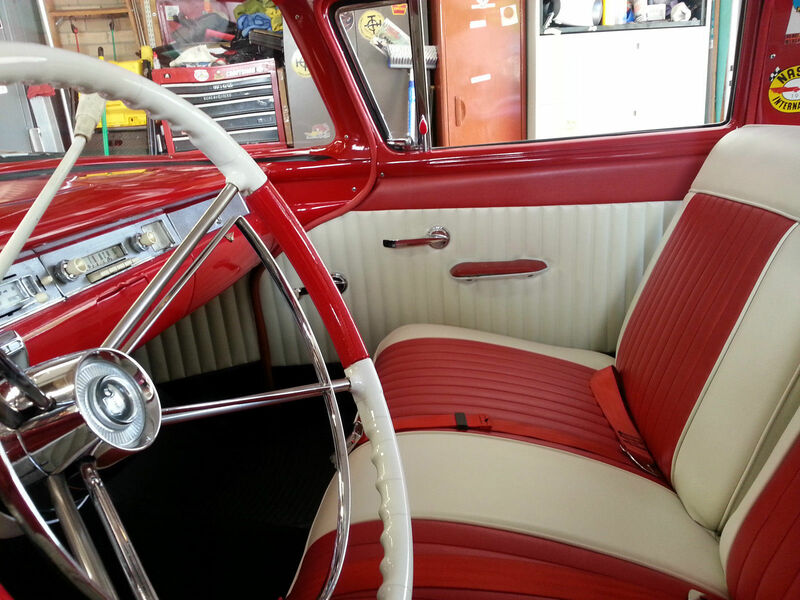 This cruiser is ready to drive! Super comforable, and quick for such a big car. Any questions or additional pics, concerns feel free to contact me. There’s not a better one on the road. Brand new rear leaf springs from Eaton Spring. 17000 miles on completely rebuilt engine and transmission. 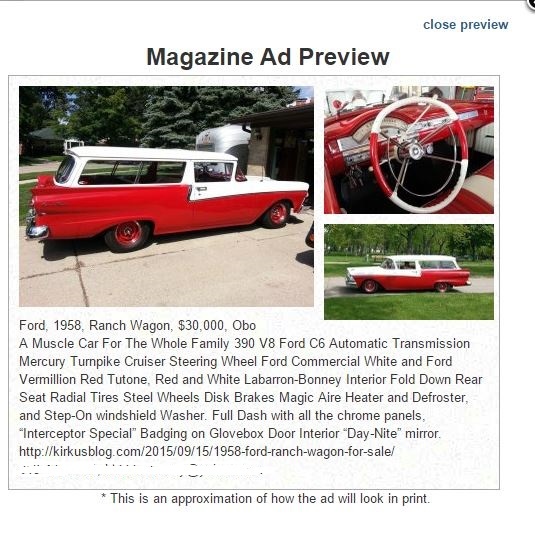 Must see, a rare opportunity to own a very rare Ford. 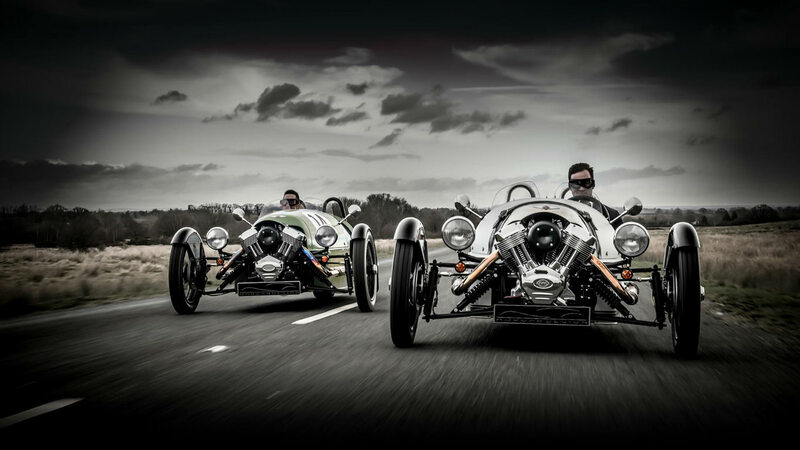 This is the Morgan Cyclecar… Re-engineered from the ACE, S&S motor, Mazda gearbox. 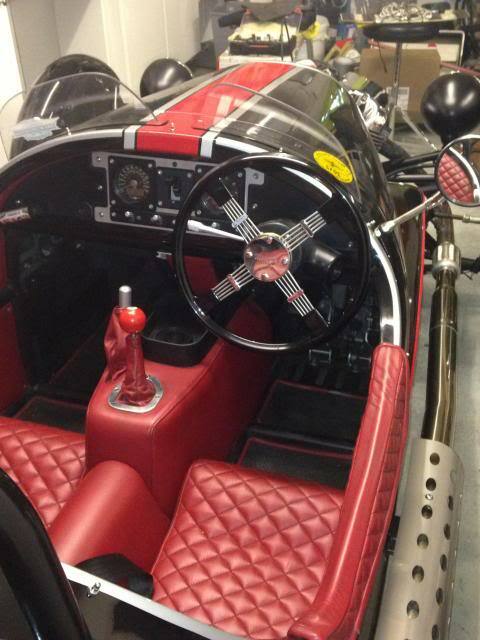 Ash Wood Frame, Steel Tube Chassis……. We were out on the bikes last night. Beth took a bit to adjust to the bulk of the Harley, and the free massage you get riding it. The BMW had a little headlight snafu, but otherwise rode like butter!